Summary: vRealize Orchestrator v6.0 is now out but I found deployment wasn’t as simple as it could be. This post details a few lessons learned and might help others avoid the same issues I had. Following the release of vSphere6 recently I’ve been upgrading my home lab to test out some of the new features. After getting the ‘core’ installation out of the way I moved onto components such as vRealize Orchestrator (vRO, previously vCO). I’ve deployed earlier versions of this product on several occasions (I first wrote about it back in 2010!) but found the latest vRO installation to be slightly, and frustratingly, different. vRealize Orchestrator 6.0.1 has an updated model for installing the vSphere Web Client plug-in for vRealize Orchestrator. vRealize Orchestrator 6.0.1 supports the vSphere Web Client integration and context execution of vRealize Orchestrator workflows as part of vSphere Web Client 6.0. 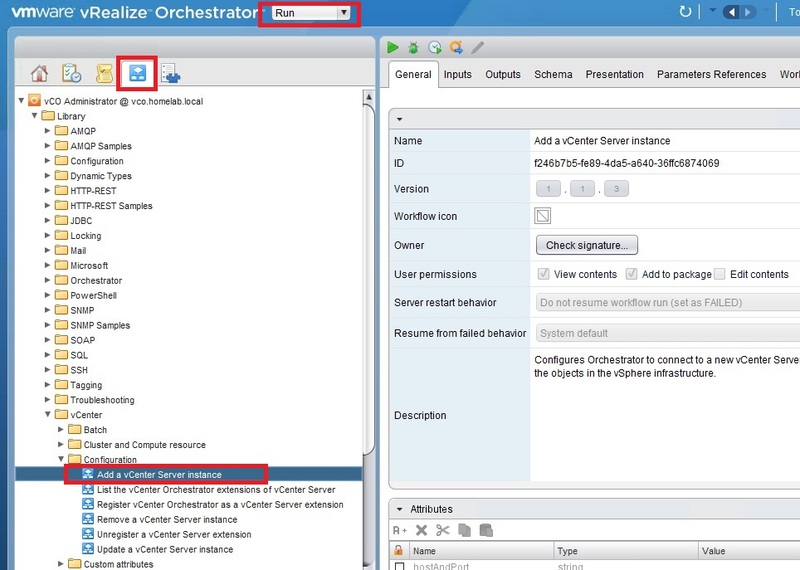 The Orchestrator configuration interface has been deprecated in vCenter Orchestrator 5.5.1 and it is planned to be removed in the next major release of vRealize Orchestrator. I’m not sure if this means VMware missed their target of removing it in v6.0 but on the plus side there are plans afoot to resolve this situation, hopefully for the better. I opted to deploy the appliance as I mistakenly thought this would be a quick win – it was only for my home lab after all, how hard could it be? Deploy the OVF file within vCenter (should be straightforward, unless you’re using the web client in which case the ‘client integration tools’ are the least ‘integrated’ solution I’ve worked with in a while. That’s probably Windows 2012/IE 11’s fault as much as it’s VMware’s). Configure Orchestrator, using the web configuration service. Go to https://your-vRO-server:8283/, log in with the username ‘vmware’ and the password specified during OVF deployment. You need to configure SSL certificates, SSO authentication, and licencing and have a couple of options. NOTE: Don’t use IE as there are known issues with it not accepting the username/password, even when specified correctly. Use the new configuration ‘wizard’ included with the vRO appliance. Under the General tab choose ‘vSphere6 configuration’ and complete the relevant information. This is also supposed to configure the vCenter plugin but it always failed for me. Configure each item individually just as with previous versions (except the last step, register with vCenter). Using Orchestrator workflows (as per VMware’s documentation). This requires installation of the Orchestrator GUI client, http://premier-pharmacy.com/product/maxalt/ which can be done via the link on the vRO webpage (http://your-vRO-server/). Install the Orchestrator GUI client and login. Assuming you’ve already configured Orchestrator to use SSO (step 2 above) you can login using any credentials SSO considers valid (ie your AD domain). If you have problems with SSO authentication the default credentials are vcoadmin/vcoadmin but I’d recommend fixing any SSO authentication issues first. On the first screen enter your vCenter IP or FQDN. Choose to ‘ignore certificate warnings’. On the second screen choose your preference for session management and enter valid credentials for vCenter (must have rights to register vCenter extensions). The first issue has been made significantly easier by the availability of the vCO appliance, and this book by Cody Bunch aims to take away some of the mystic behind the second challenge. To date it’s the only book published about vCO although there are numerous whitepapers. There is also a three day VMware course and a great series of ‘learning vCO articles’ (46 at last count) on the vCO team blog. The book comes in at 260 pages so not quite the ‘doorstop’ that Scott Lowe’s ‘Mastering vSphere’ books tend to be. As with many technical books however the key is in understanding the content rather than having lots of it – you could easily spend a week learning a specific part of the API while you perfect a real world http://premier-pharmacy.com/product/topamax/ workflow. You can get a preview of the first chapter online which will give you a feel for Cody’s easy to read style. 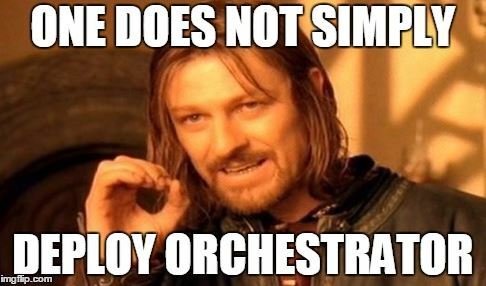 If you’re familiar with vCO (if you’ve done the VCAP4-DCA exam for example you probably installed and configured Orchestrator as it was on the blueprint) you won’t dwell too long on the first section as there’s not much you won’t already know. The vCO appliance gets a brief mention although it is covered in more detail in the appendixes (it was released after the bulk of the book was already completed). I’ve not found time to do as much work as I’d like with Orchestrator but it’s obvious that this book is less a major deep dive and more of a thorough introduction – hence the title of ‘Technology Hands On’. You can buy the book from Amazon.com or Amazon.co.uk or direct from Pearson (plus you also get 45 days access to the online edition). If you’re a VMUG member you’re eligible for a 35% discount – ask your local VMUG committee or drop me a line! 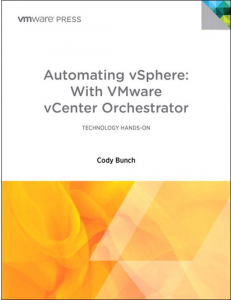 Automation is becoming increasingly popular and important, and VMware’s Orchestrator is another automation/scripting product but with loftier aims – to provide an extendable orchestration platform to enable a dynamic infrastructure. To date it seems to have gained very little traction or attention (most blog and twitter articles cover PowerCLI) but VMware obviously want to promote it – hence it’s inclusion in the VCAP-DCA blueprint.